When Hubs and I found out about our move overseas, the Christmas markets were at the top of my to-do list. 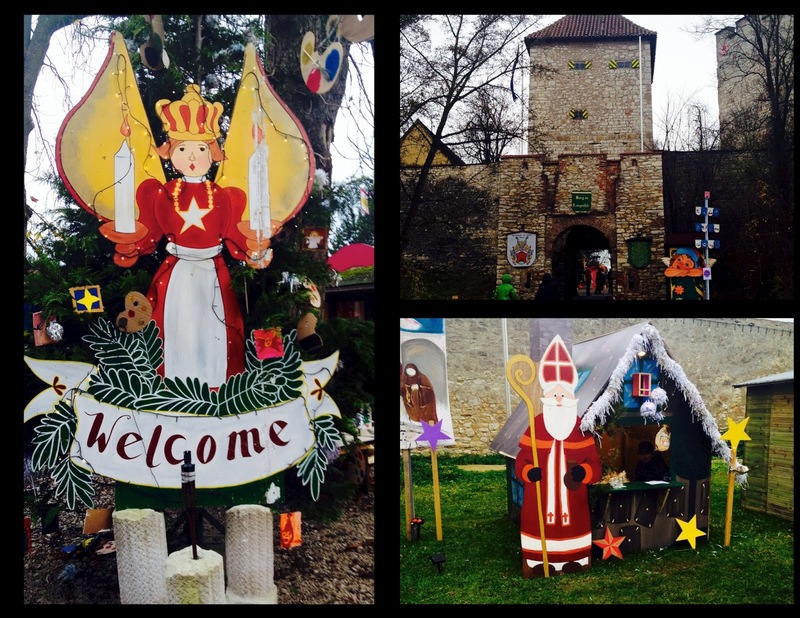 This German tradition dates back to the late Middle Ages, and began as winter markets which provided a break in the season and an opportunity for some fun. 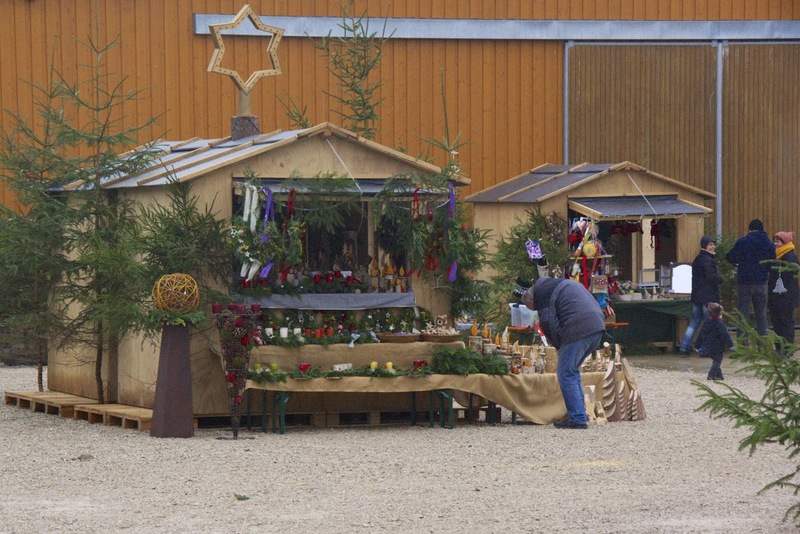 Today, there are large markets open during the whole of Advent, as well as smaller, more local markets which may only last a few days. Nuremberg's Christmas market is perhaps the most famous in all of Germany, and I have plans to attend this year. And, of course, plans to share my experience with you! ... of course, in the 8 weeks we've lived in Germany, I've already eaten here twice. And I've plans to return soon. I see nothing wrong with this cake ratio in my life. 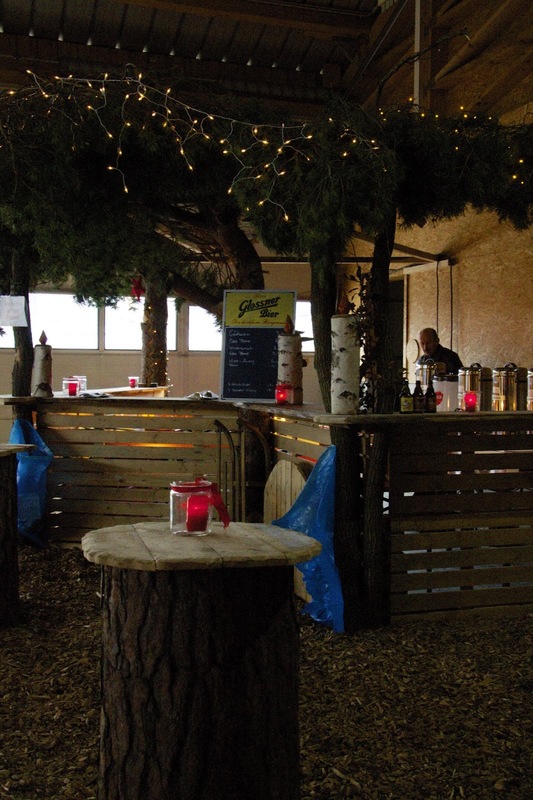 Two weekends ago, the Cow Cafe was holding their annual Christmas market. The smell of bratwurst on the grill filled the air as we wandered the booths. The Christmas crafts are fantastic. I especially adore the more natural pieces. 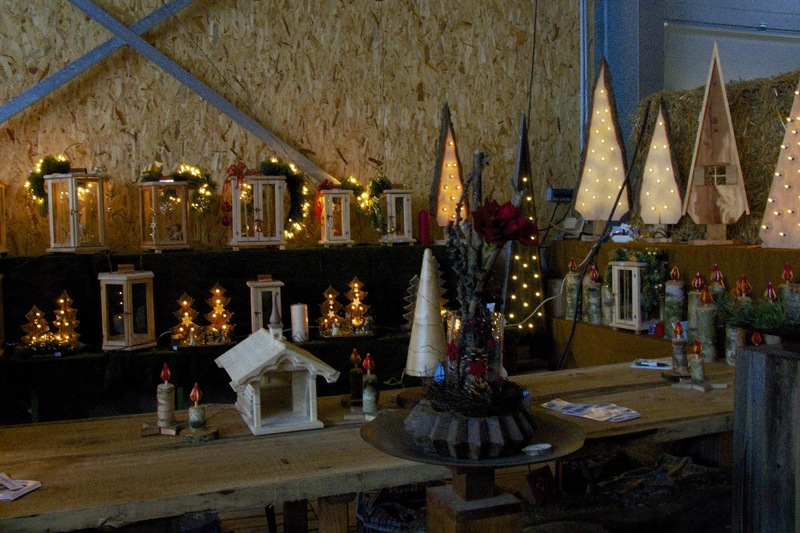 Candlesticks made from thick tree branches, wooden Christmas trees, and ornaments. For a small market, I was pleasantly surprised by the quality of workmanship. Besides the crafts, scarves and hats and mittens were also for sale. And food. And gluhwein! The gluhwein is the best part. Warm and spicy, a little like hard cider, and so delicious. 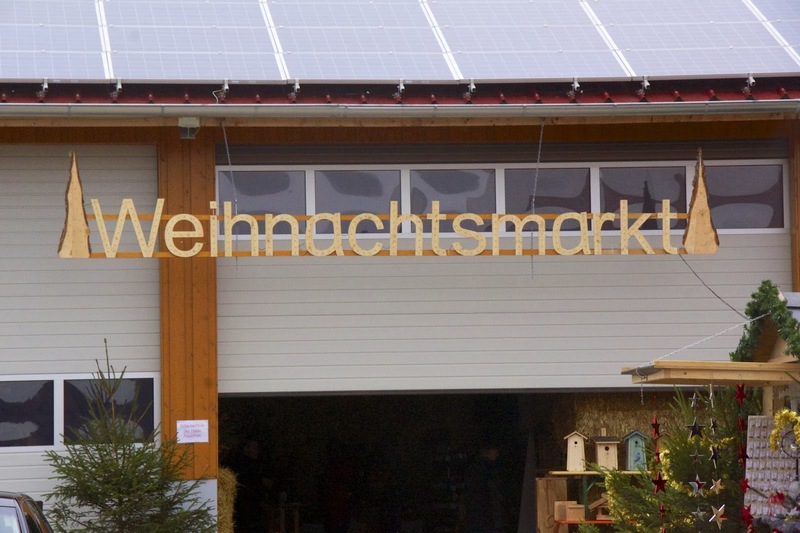 The local markets sell all the ingredients to make your own gluwein at home as well. Some are instant (like a cocoa mix) and others are giant tea bags to steep in the warm wine. After perusing the wares at Cow Cafe, we decided to try our luck at another market, this one in Burglengenfeld. High atop the town sits a castle, where the market was located. Of course, we got a little lost trying to find our way there. But we found it eventually, and survived the long hike to the top. This market was quite a bit different from the first one. A few stalls were there, though they mostly contained food and drink. Tours were being conducted of the castle. We stumbled upon some crafts, though they were more expensive than the previous market and of a different style. We stopped for gluhwein, munched on some amazing sausages and soup. We toured the castle on our own, climbing to the top of the tower. After a while, we were worn out and ready to head home! For my first experience with markets, I was glad to attend some smaller ones in the beginning. I was slightly better prepared when I went to Austria this past weekend for Salzburg's Christmas market. Compared to these, it was huge! More coming on that as soon as I've recovered.